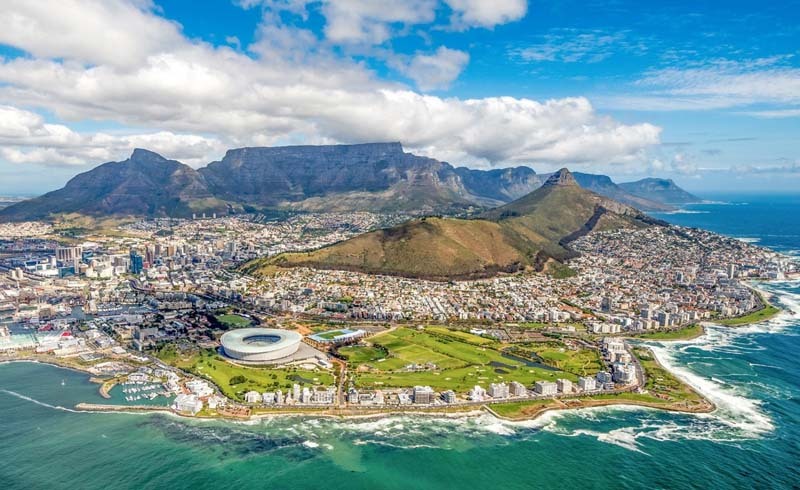 Most people who arrive in Cape Town whizz to the top of Table Mountain on the cableway, but hiking the slopes is a far better – and cheaper – way to experience the city’s craggy centrepiece. The most popular hike is Platteklip Gorge, a steep, 2.5-hour climb that’s hellish on the knees on the downward leg. But there are trails galore throughout the range, from the gently undulating pipe track to the two-hour walk up to Elephant’s Eye Cave. 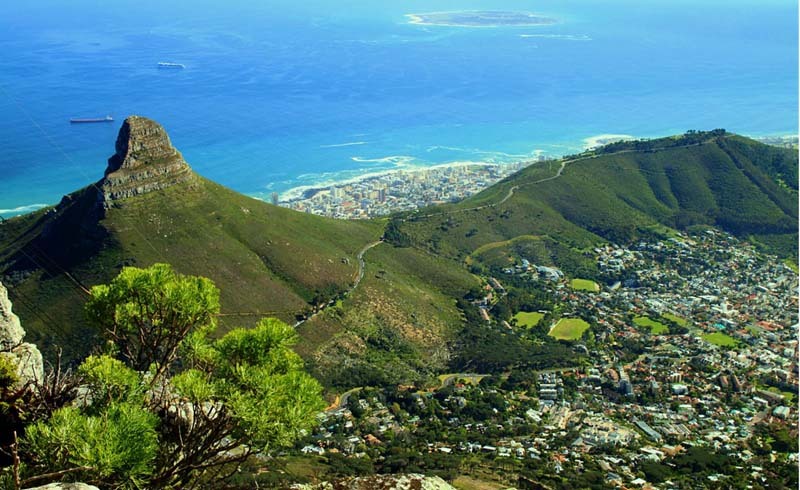 And for the hike with the best view of Table Mountain, join the throngs plodding up Lion’s Head, a short but steep scramble that involves clinging onto chains and ladders to reach the peak. Never hike alone and ask for local advice on safety as there have been muggings on certain trails. Whether you’re interested in local flora, keeping fit, picnicking on the lawn or clambering over a jungle gym, Green Point’s park can easily provide a half-day of gratis entertainment. 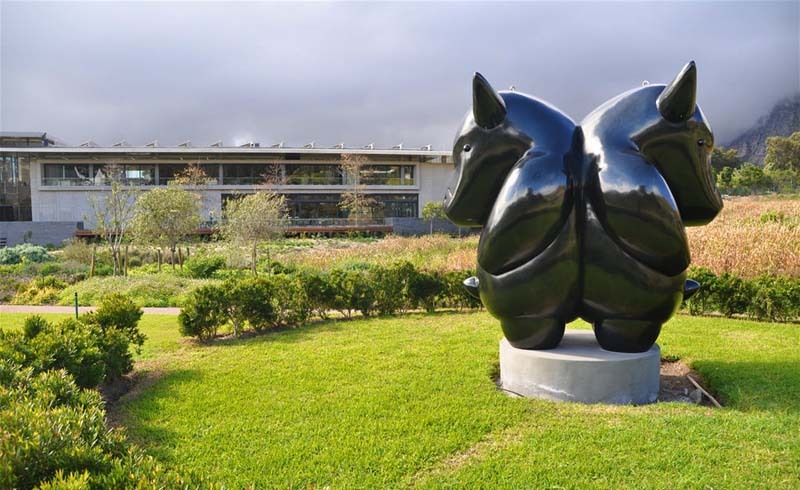 The park was redeveloped when South Africa hosted the FIFA World Cup in 2010 and now acts both as a place to cycle, jog and walk as well as an open-air museum, with information plaques detailing the remarkable biodiversity in the Western Cape. Normally, this privately-owned contemporary art gallery is one of the city’s pricier attractions, but on Tuesdays entrance to the exhibition spaces and sculpture garden is free. The large, rather austere building houses several galleries showcasing rotating exhibitions from African artists. The garden is a marvellous place to wander, where wetland birds and rambling indigenous plants meet incongruous statues bursting out of the ground. 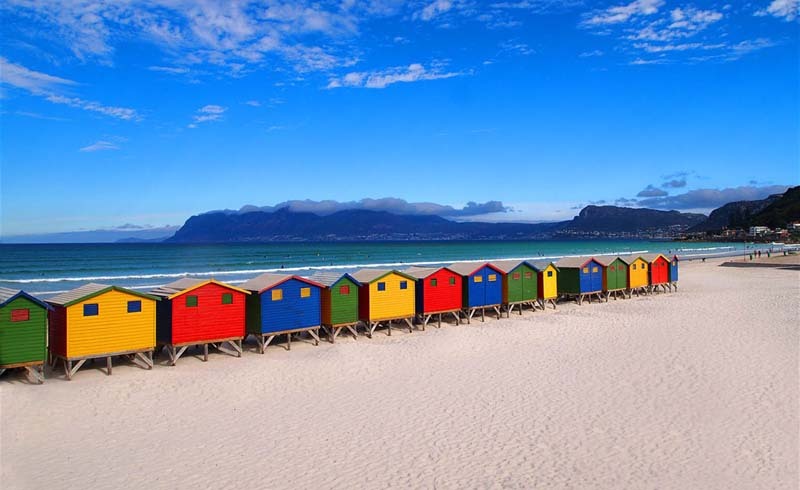 Following a decade-long regeneration project, Muizenberg’s beachfront is now a place to embrace rather than avoid. Once you’ve taken in the restaurants, surf shops and Victorian bathing huts, follow the meandering pathway as it hugs the coast for 10 marvellous kilometres. Stop to paddle in the tidal pools at St James, browse the antique shops on Kalk Bay’s Main Road and end with a dip in the ocean at Fish Hoek’s lovely white sand beach. 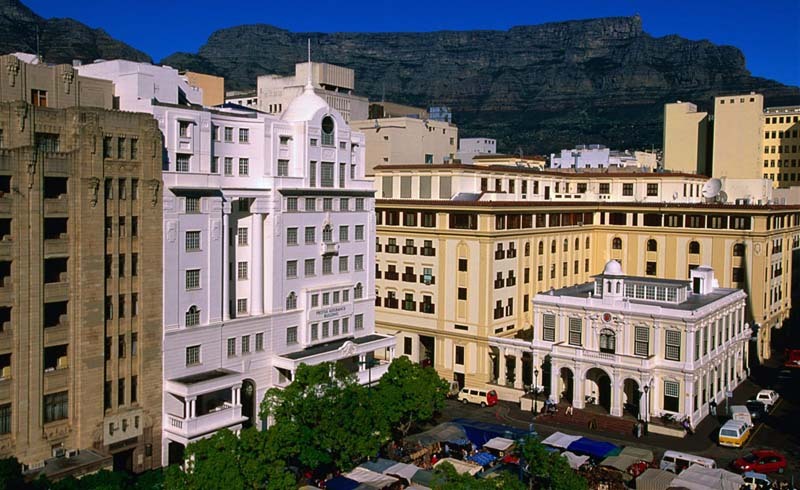 There is plenty to see in central Cape Town if architecture is your passion. 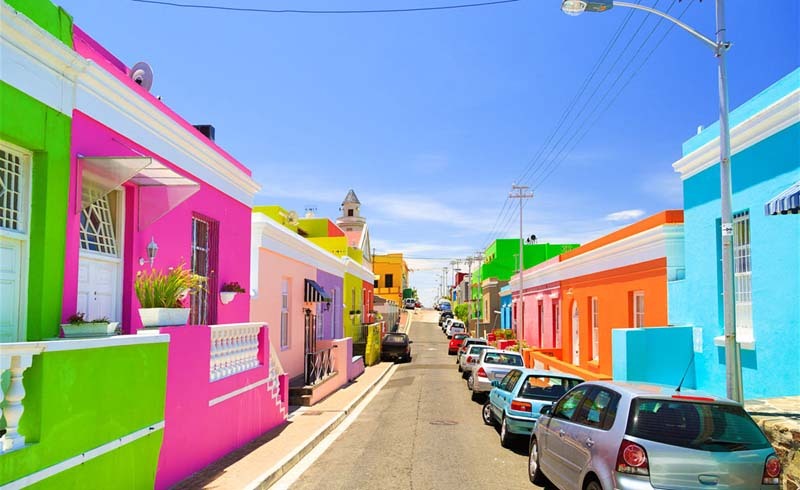 Top of most lists are the iconic houses of the Bo-Kaap, whose residents are used to having their colourful homes photographed. A short walk away are the art deco facades edging Greenmarket Square, which is always buzzing with activity thanks to the craft market held daily there. A few blocks southeast you’ll find the Edwardian City Hall overlooking frenetic Grand Parade. From here it’s a two minute stroll to the city’s oldest building, the Castle of Good Hope, constructed in the late 17th century. Various companies offer free walking tours of the city. 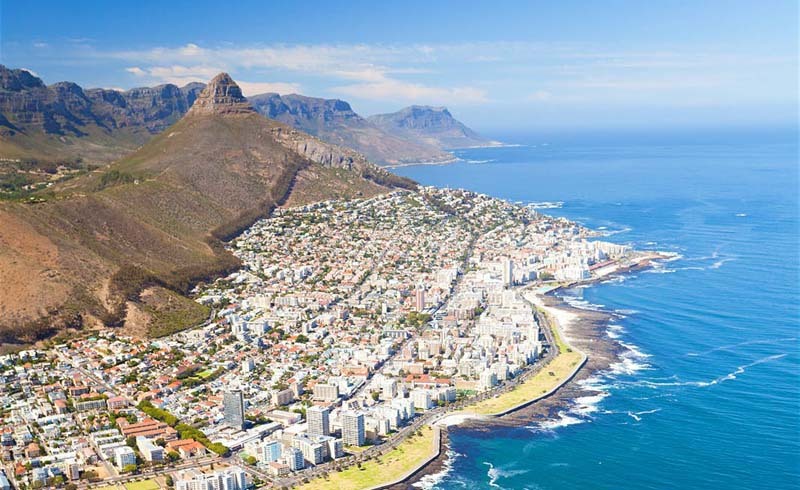 Some tours take in well-known sights like Greenmarket Square, Company’s Gardens, Bo Kaap and Grand Parade; others offer a different view of the city, such as the Taste of Cape Town tour, which samples traditional snacks and visits galleries and street performers. 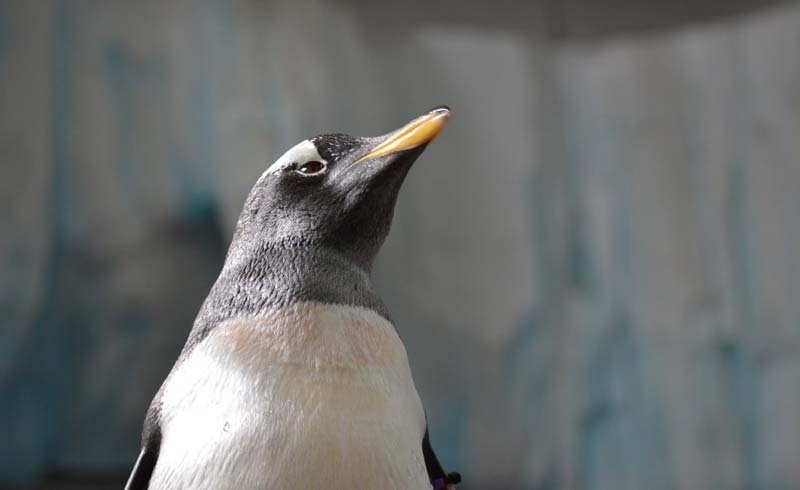 Although the tours are billed as free, a tip for the guide is expected. South Africa’s recent political history is as fascinating as it is tumultuous, and the free tour of parliament sheds light on some of these local stories as well as offering insight into how the country’s parliamentary system operates. Once the tour is done, be sure to admire the 19th-century building from outside, with its neoclassical facade and oft-photographed bust of Nelson Mandela. Tours take place on weekdays only and must be booked in advance. Be sure to bring your passport in order to enter the parliament building. 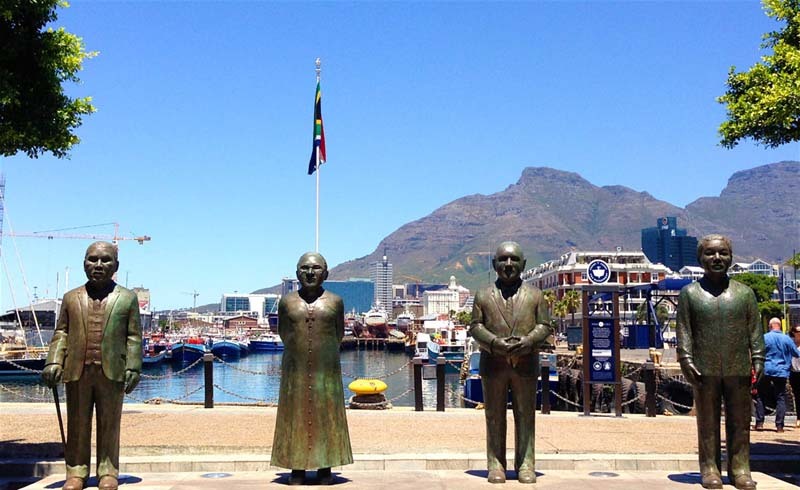 Situated at V&A Waterfront, the Nelson Mandela Gateway is the launching point for ferries to Robben Island. If you’re saving cash, lacking in sea legs or your trip has been curtailed by the weather, the free-to-enter visitor centre is worth a peek. Here you’ll find information panels giving insight into the struggle against apartheid, with a particular focus, of course, on Nelson Mandela. On warm evenings, the wide promenade edging the Atlantic Ocean is alive with dog-walkers, skateboarders, sun-gazers and kite-fliers. If the ocean views aren’t reason enough to visit, there are intriguing art installations, open air gymnasiums and plenty of places for kids to play. When the thermals are right, this is also the landing spot for paragliders leaping off Lion’s Head. 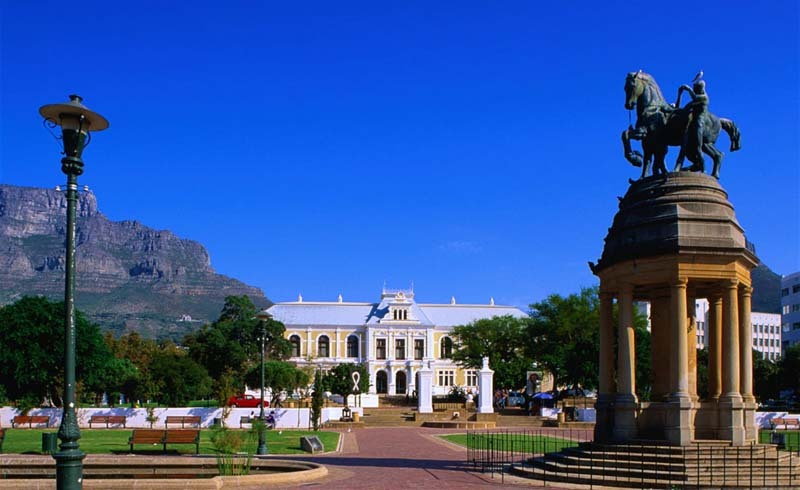 Cape Town has many magnificent, free-to-enter public parks and gardens, but this one is the oldest and by far the most popular. In the 17th century the Company’s Garden functioned as a veggie patch for the Dutch East India Company, and a small produce garden now commemorates the original purpose. Elsewhere there is an aviary, rose garden, small info centre, some grand monuments, and countless squirrels. Edging the park is a selection of museums, galleries and the striking parliament buildings.